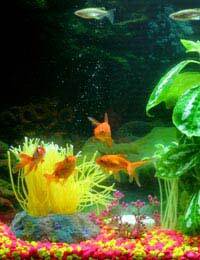 Aquarium keeping is a simple, enjoyable hobby that can provide lots of opportunities to learn about the natural world. Unfortunately, not every company involved in the aquarium trade makes good ethical choices. As a beginner, you could inadvertently find yourself supporting activity that you'd never agree with if you knew more about it. Understanding the issues can help you to make better choices and support the positive side of the trade. Most aquarists are aware that overfishing for the aquarium trade can be a problem, especially with rare species. Even popular pets like clownfish are now facing problems in the wild because of it. Overfishing can also cause wider environmental problems by disrupting the food chain, upsetting the balance of the local ecosystem. How can you avoid buying fish who have been collected in an unsustainable way? The best way is to look for a company that guarantees its fish are captive-bred. Many species breed easily in captivity so you can be fairly sure that's where they're coming from. In other cases, don't be shy about asking for references so you can check out suppliers. The Animal Protection Agency (APA) can provide assistance and advice if you need it. Of course, not all fish will breed in captivity, but it's not always a bad move to buy wild-caught fish. Doing so can encourage local people in the areas they come from to preserve their natural habitat. The key to getting it right is good research into the specific type of fish you want to buy. The Convention on International Trade in Endangered Species of Wild Fauna and Flora (CITES) provides guidelines on some vulnerable species and is also good on corals. Even if they have been ethically sourced, not all fish are well treated in local aquarium shops. Making good decisions about which shops to support can benefit thousands of fish besides the ones you choose to buy. Checking out an aquarium shop is easy. Don't let anybody rush you but take your time looking round. If you see a large number of dead or unhealthy-looking fish, especially if this happens on more than one visit, don't use it. You should also look out for overcrowding, injuries, and discoloured water. The best positive indicator is well trained staff who are obviously knowledgeable about the fish they stock. After fish reach your own home, it's important that you recognise your own duties in regard to their well-being. Sufficient space - Some popular aquarium choices are far too small for their occupants to live comfortably. Avoid traditional goldfish bowls and bi-orbs, and remember that even big tanks can get overcrowded. Be ready to increase the space available as fish grow. Adequate heat and lighting - Make sure you know the needs of the particular fish you choose. Suitable company - Don't keep aggressive fish with shy, vulnerable ones. Get the right balance of males to females for the species you choose. Make sure that sociable fish have a big enough shoal of appropriate companions, and bear in mind that some fish are happiest alone. Good water conditions - Know the needs of the fish you keep, educate yourself on how to keep water conditions stable, and monitor the water regularly. Appropriate food - Take account of specialised diets where relevant and try to provide a varied diet in other cases. Remember that feeding too much can be very bad for your fish. Protection against disease - Educate yourself about signs of disease and check your fish regularly to make sure they're safe. If you have no aquarium shop nearby, it's especially important to keep up to date stocks of basic medicines on hand so you can act quickly where required. Remember that your fish depend on you completely for their well-being. Once you get into good habits, looking after them needn't take up a lot of your time, but you shouldn't buy fish unless you are able to make this commitment. Finally, it's worth thinking about the bigger environmental issues involved in fishkeeping. Most aquarium lights and heaters don't really use a lot of power (especially when you consider that escaped heat also contributes to keeping your home warm), but switching to a low-power system such as LED lighting can still help to reduce your carbon footprint. The single biggest thing you can do to lower the environmental cost of your aquarium is to buy locally from aquarium shops that also source their supplies locally. This will often save you money too. Making good choices helps to make every aspect of the aquarium trade more sustainable and will give you an even better fishkeeping experience.